Tina Fey, 3o Rock star, and Paul Rudd, recent star of This is 40, are joining together on the screen for the first time together. Director, Paul Weitz, nominated for an Academy Award shows what occurs on the route to happiness. Tina Fey’s character in the new romance comedy, Admission, is a cookie-cutter, straight edged Princeton admission officer, Portia Nathan. A promotion is open for Portia, and she takes off on a recruiting trip for the upcoming year. On the road, she reconnects with her mother, expressing love for one another again. Portia heads off to New Quest school. …We know you want to know more. Read on! This one comes from the director of the hit comedy Role Models, which is already a good sign. 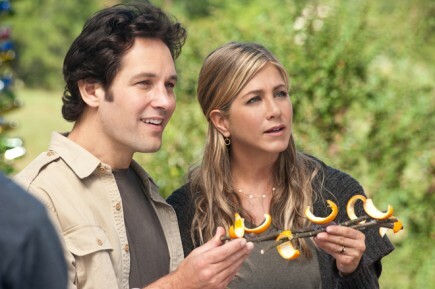 The film stars two great comedic actors, Paul Rudd and Jennifer Aniston, as a married couple who find themselves victims of the economy when Rudd’s character gets fired from his job. Forced to leave there pricey sanctuary in Manhattan, the couple ends up joining a commune of sorts and begin living among them. Naturally, comedy ensues. The trailer has some pretty hysterical moments. Also, it should be noted that the movie is rated R, which is usually a good sign for comedies like this. …Want more information? Click here to read more.